In this posting of our Faces of Change series, we hear from Khaing Myo Htun, one of EarthRights School Myanmar’ 2006 alumni. Khaing Myo Htun worked with Arakan Oil Watch before co-founding Natural Resource for the People in 2008 (NRFP). With NRFP, he facilitates workshops for farmers, women, and ethnic leaders on land law, power sharing, government and democracy, to empower communities to advocate for their rights. From July 2016 to February 2018, Khaing Myo Htun was detained in Sittwe prison on charges related to allegations by the Arakan Liberation Party (ALP) that the Myanmar military committed crimes against humanity including torture, forced labor and forced evictions in Rakhine state. Though there is credible evidence of these crimes, on October 12, 2017, he was found guilty of defamation and incitement charges. On February 22, 2018, Khaing Myo Htun walked free from Sittwe Prison. 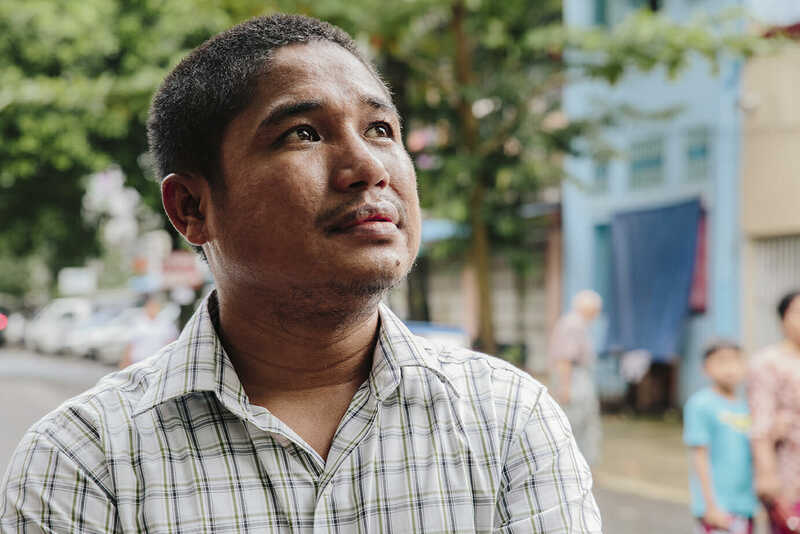 Khaing Myo Htun has dedicated his life to fighting for human rights, justice, and accountability in Myanmar and for 19 months, ERI worked with a group of local lawyers in Sittwe to support him and to defend him in court against these unlawful charges. “We must fight for inborn and inherent rights to be free from the yoke of those that abuse their power, for the sake of all human beings around the world until the day when we pass away and so long as we are alive in this world,” wrote Khaing Myo Htun in a letter to his supporters.